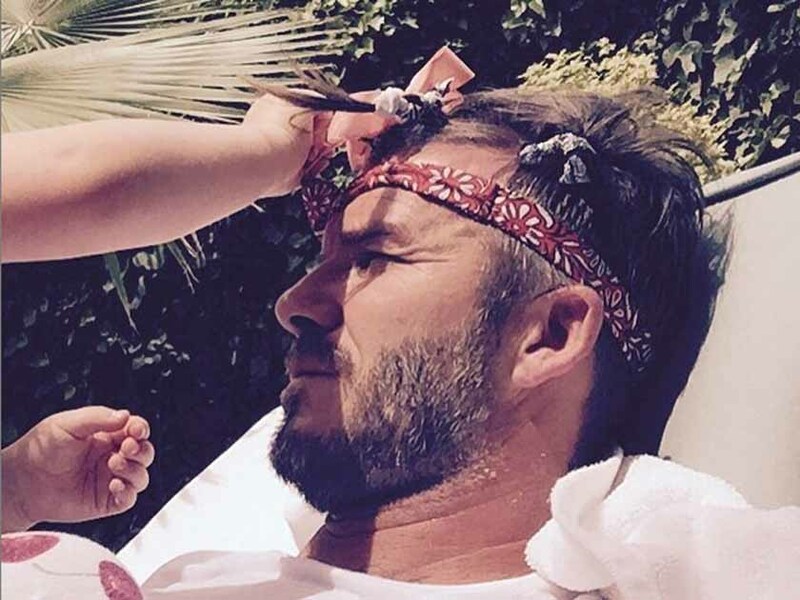 David Beckham has always been one of our favourite famous dads. Not only because he’s just so cute with all his kids but because he also seems to love every single thing about being a father with wife Victoria. And to make sure he knew how special he was, David’s kids Brooklyn, 16, Romeo, 12, Cruz, 10 and three-year-old Haper gave him what he described as ‘the perfect Father’s Day gift’ for his special day. David posted this on Instagram and we’re guessing his youngest, daughter Harper, might have had something to do with it. 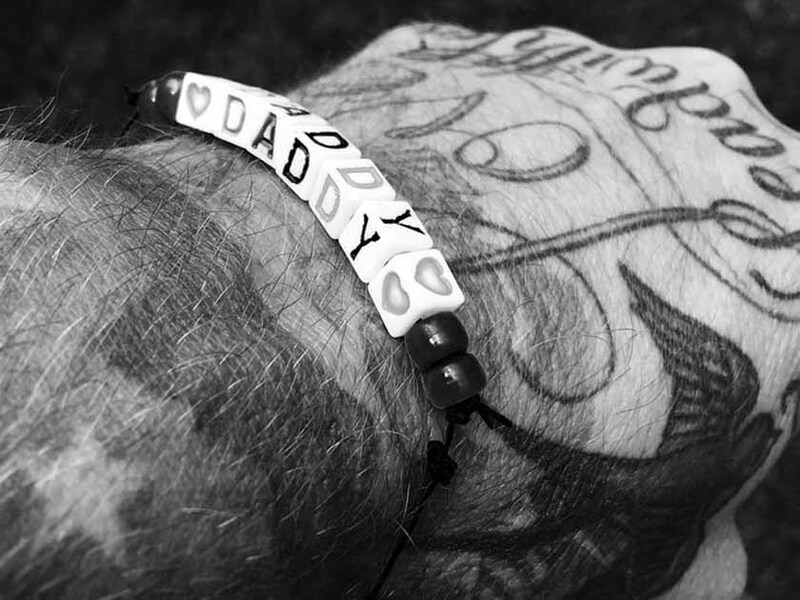 ‘Lead with Love the perfect Father’s Day gift,’ David captioned the snap. 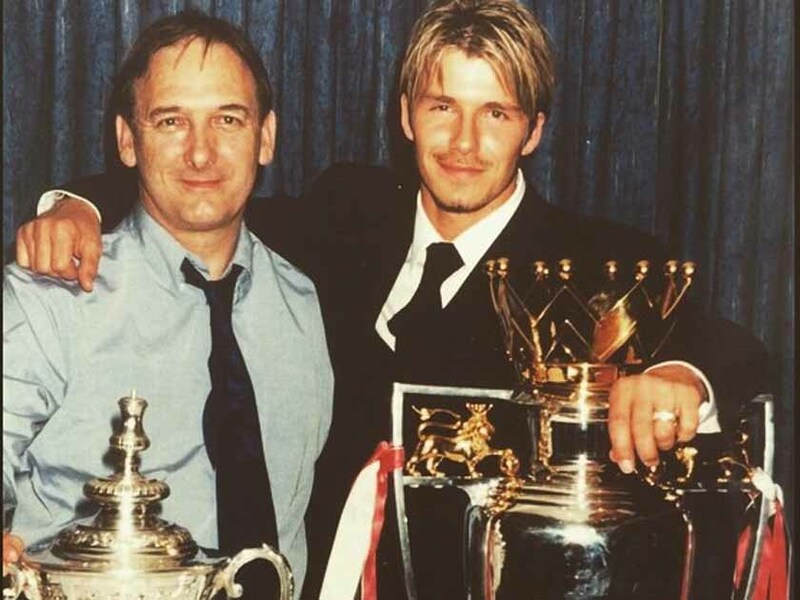 Earlier in the day the dad of four wrote an emotional tribute to his father, David Sr. alongside a photo of the pair of them from back in his Manchester United days. David Beckham and his dad, David Sr.
‘Happy Father’s Day dad… Thank you for all the support you have given me over the years… To all the dads around the world have an amazing day and enjoy being spoilt by your beautiful children…’ he wrote. ‘Someone is trying to make daddy feel pretty today after a heavy night,‘ David wrote with this picture the day after he saw in his 40th birthday in Morocco. Earlier this year Becks opened up about his upbringing, saying his parents gave him a strict moral code that he’s always stuck to and could be the reason why he’s such a good dad. ‘My parents were always very strict and they gave me the right beliefs in how to treat people. It was very strict and all about morals – I try to pass that on to my own children,’ he said. Oh David, you really are a charmer. We hope you’ve had a wonderful Father’s Day.